World Jewish Restitution Organization expresses 'profound disappointment' at proposed legislation excluding majority of Holocaust survivors. Over seventy years after 90% of Polish Jewry was murdered during the Holocaust, the Polish government on Saturday published proposed legislation that would address property confiscations. The draft legislation as proposed would exclude most Holocaust survivors and their families. "We are profoundly disappointed that the Polish government’s proposal excludes the vast majority of Polish Holocaust survivors and their families," World Jewish Restitution Organization (WJRO) Chairman Ronald S. Lauder and Chair of Operations Gideon Taylor said. "Polish Holocaust survivors and their families were an integral part of Polish life for centuries. Their property is often their last tangible connection with the life they lived before the destruction of the Holocaust. 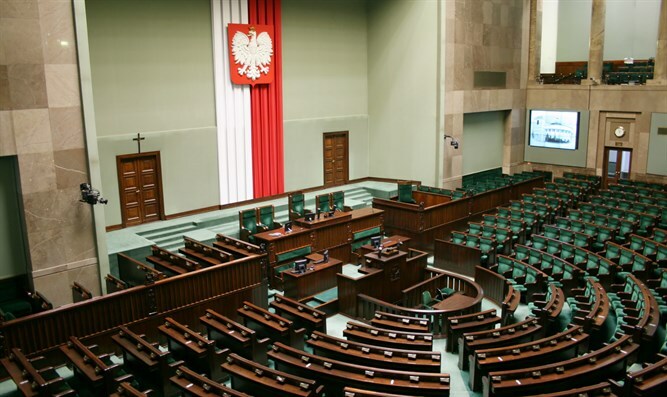 We strongly urge the Polish government to ensure that the legislation, when introduced to the Parliament, will have eligibility criteria and a claims process that are fair and just to those who suffered and lost so much." According to the text published by the Polish Ministry of Justice, the legislation would require that claimants be citizens of Poland today. In addition, it would require that they had been residents in Poland at the time their property was nationalized by the Communist regime. These provisions would exclude the vast majority of Holocaust survivors, and their families, who left Poland during the Holocaust or in its aftermath and now live outside Poland. The proposed legislation would also exclude heirs, other than spouses and first line heirs (i.e. children, grandchildren). This exception to existing Polish succession rules would disproportionately harm heirs of victims of the Holocaust. Because of the devastation of the Holocaust, non-linear heirs, such as siblings or nieces and nephews, were often the only remaining heirs to Jewish properties. Foreign citizens would be barred from filing claims, even if they were eligible for compensation under postwar bilateral treaties between their country and Poland, and even if they did not file claims under those treaties. Most survivors were not eligible to file claims under these treaties, but even those who were eligible often did not know to file claims as they sought to rebuild their lives after the Holocaust. In addition, those who owned shares in a corporation would be barred from filing claims for their property. WJRO also noted the one-year claim period, after which property would be transferred to the Polish Treasury, as well as the elimination of the possibility of return of the actual property, or of substitute property. Compensation, they noted, would be limited to 20% of the property's value, and provided in cash or vouchers, or 25% in government bonds. Roughly half the Jews who perished in the Holocaust were Polish - approximately 3 million Polish Jews were murdered in the Holocaust, representing 90% of the Poland's Jewish population. Poland is the only major country in Europe that has not passed national legislation for the restitution of property unjustly seized by the Nazis and/or nationalized by the Communist regime.